What does success look like? We have had the good fortune of working with hundreds of companies, spanning multiple industries and disciplines, and here is what success looks like to them! 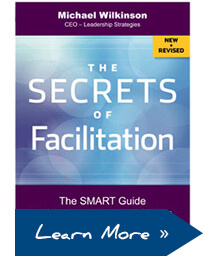 Scroll down to read success stories in Facilitation Training and Facilitation Services. Nancy Alexander – who has been facilitating for 30 years – completed The Effective Facilitator and explains how the course helped her as an independent consultant and executive coach. Read Jack’s full testimonial here. Read Rob’s full testimonial here. Milan Radulovich – Vice President of Business Development, Wincor Nixdorf, Inc.
Read Milan’s full testimonial here. The participant dynamics were fantastic. The energy was high; the facilitation was excellent. I learned both from the instructor, as well as through observation. I left with so much information and I know, IF I apply it (which I will! ), it will allow me to develop the conscious competence that I need. “Lesson Learned? Set guidelines for making and recording comments at the beginning of the session.